The Krabi area is known for its spectacular beaches, caves and dramatic cliffs but large up market resorts have only been developed here in the last few years. Visitors can now stay in a four-star resort and enjoy some of the most beautiful scenery Thailand has to offer. The long-term and residential property market has lagged behind in the upgrade to Western standards. So, finding a luxury villa to rent was a difficult task until now. 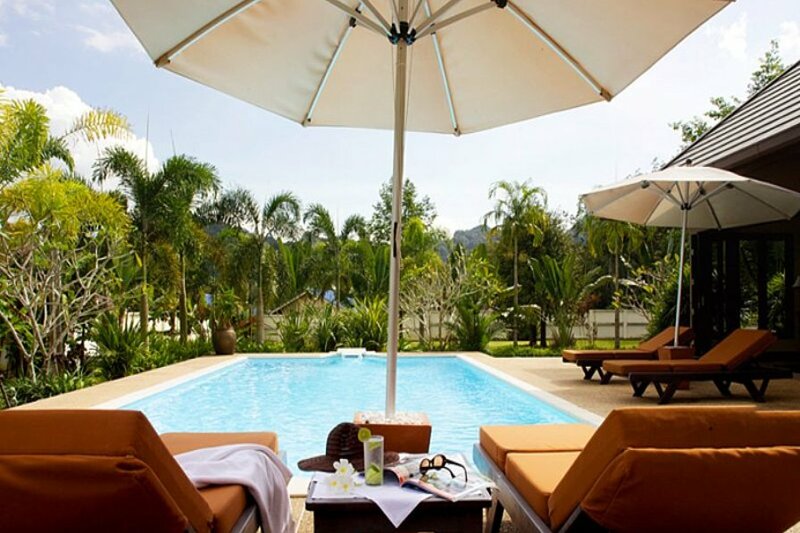 Baan Malisa is located about 3km from Ao Nang beach, in a quiet residential area close to local shops and markets. The villa is surrounded by a high brick wall for your privacy and is cleaned on a daily basis. Chic and contemporary, Baan Malisa is part of Ton Company’s “Luxury Collection”. The two bedroom, 190sqm holiday home is a stunning example of modern Thai design and architecture, as well as being beautifully appointed and impeccably maintained. The master suite in particular makes Baan Malisa one of the most popular villas in Krabi for honeymooners, with its direct access to the swimming pool, and spa-style bathroom (oversized bathtub and tropical outdoor shower). The villa’s location at the end of a quiet cul-de-sac, around 3km from the Andaman Sea at Ao Nang Beach, ensures total peace and privacy – also perfect for families wanting to spend some quality time together. Those who do not have their own transport may use the unlimited taxi service (additional charge 1,000 THB per day) from 9am to 10pm to get to and from the beach, and a personal concierge is also available to arrange door-to-door sightseeing excursions.